Captain General of Galicia and head of the Appellate Court, Juan Pacheco, Second Marquis of Cerralbo, exercised the authority of the king. Prior to the siege he worked tirelessly and with notable success in strengthening Corunna against the likely English attack. He was the military commander and the political authority that the occasion demanded, and crucially included himself among the besieged. He accepted the offer and remained gallantly at his post as a worthy representative of the king. 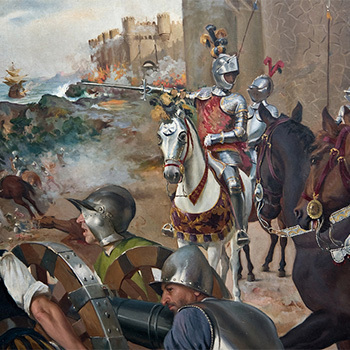 On the debit side was, perhaps, his failure to have prevented the loss of Pescadería and the lack of urgency shown by the court at the start of the siege. But it is undeniable that under his judgement and authority, with a complete chain of command involving professional soldiers, Corunna and its people found a clear order with which to protect itself.